Half Brussel Sprouts. Drizzle with olive oil & balsamic (not your 2/3 cup) and add salt and pepper. Pre-heat oven to 350. Bake on a sheet for about 30 minutes or until they look golden and roasted. 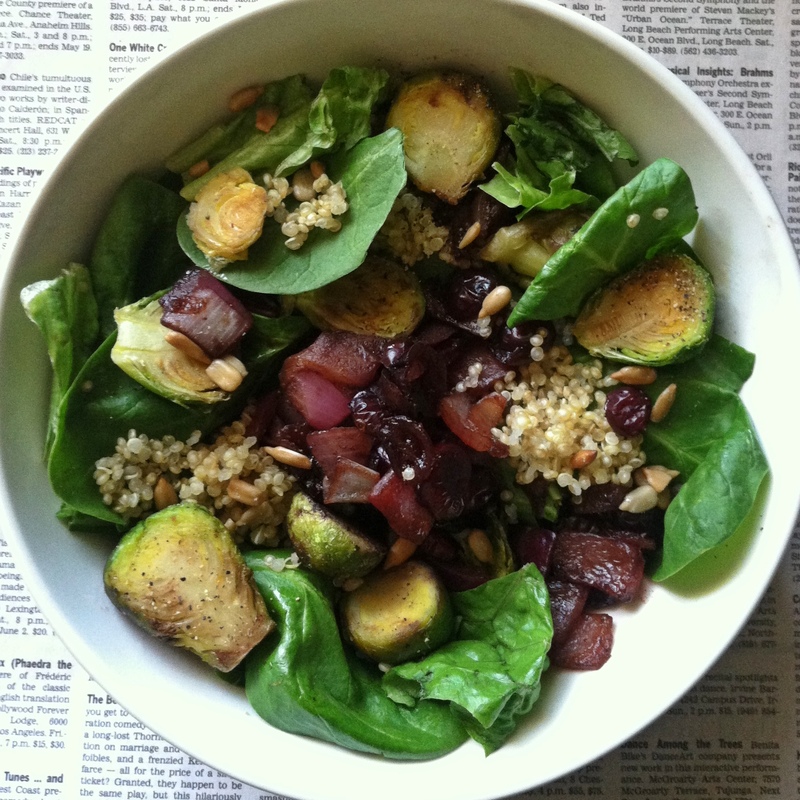 In a pan add 2/3 cup of balsamic vinegar, red onion, dried cranberries, and honey. Allow to reduce for about 10 minutes. 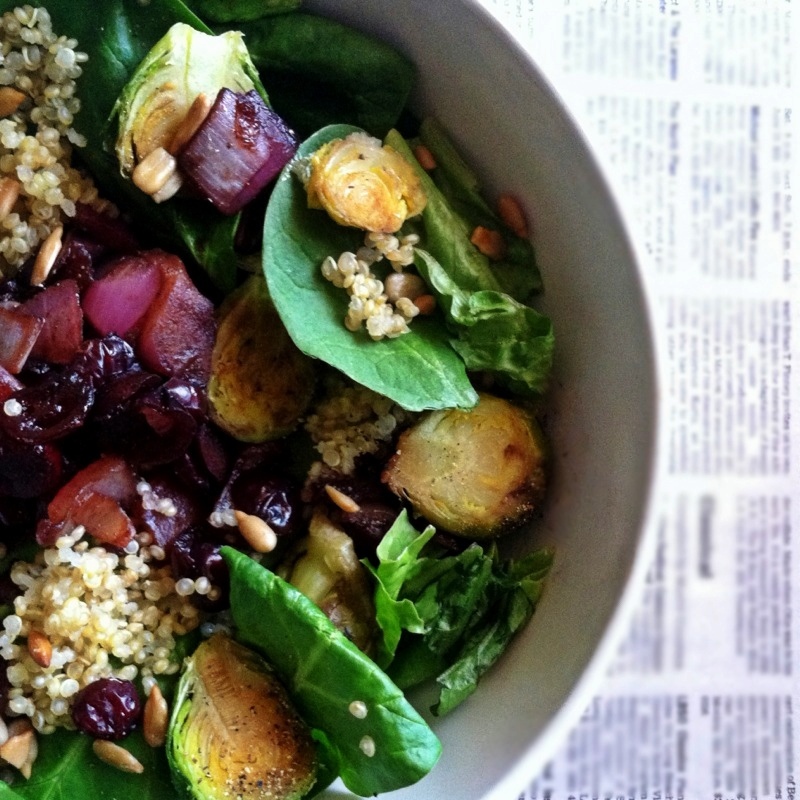 Mix in all cooked ingredients with your sunflower seeds, quinoa, and spinach. Enjoy!